The first time I stumbled upon a travel blog by a young female nomad I was excited to learn more about her choices and adventures and how she made her long-term travels possible. I was in awe of her courage and her persistence in following her passion and exploring the world. Over the past few years this has become a growing phenomena: solo travelers, female solopreneurs, and families going after the dream of exploring, experiencing, meeting new people, learning cultures, and letting the unknown be their guide. And more and more of them are sharing their adventures with others through their blogs or social media. There are many explanations for why this way of traveling has become popular and what has made it affordable. There were always backpackers visiting less developed countries in search of a different atmosphere and low-cost living that suits their financial means. Today’s digital nomads, however, are looking to explore the world in a more comfortable and upscale fashion and, above all, to make it their lifestyle as they look for ways to make money while on the go. Connectivity (of both physical and social networks), social media, the variety of prices for transportation and accommodation, and the possibility of working remotely are just some of the reasons why this is feasible today. 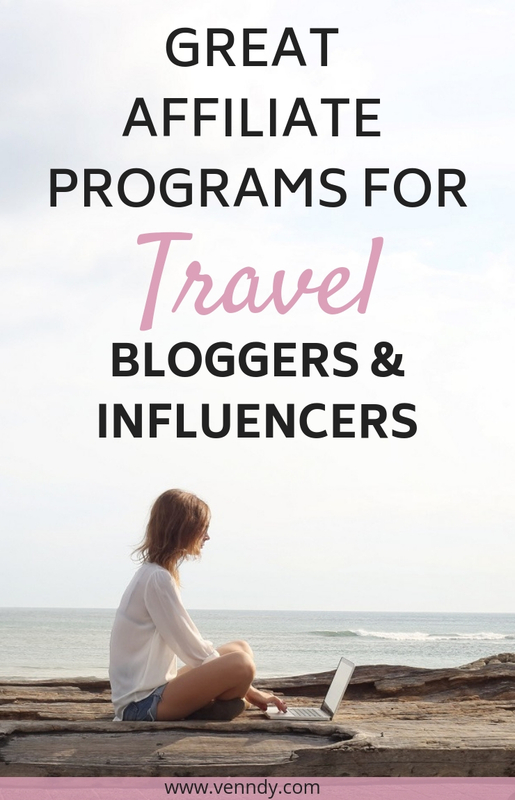 There are a few ways for travel bloggers and travel influencers to make money online via their blog, Instagram, and other channels. In this blog post we’ve put together a list of affiliate programs that can help you monetize your content while on the road. Affiliate marketing is the process of referring readers to products, places, and services you recommend and receiving a commission if they sign up or makes a purchase. It’s like recommending a show or a hotel you really loved to a friend and getting paid for it! If you are new to affiliate marketing, you may want to check our Affiliate Marketing Guides here. 1. To familiarize you with some of the options out there beyond the obvious hotel chains and travel gear. What we have listed are only examples, showing you how diverse the range can be, but once you sign up and go through the lists yourself, you’ll probably recognize other brands, hopefully based on your own preferences and experiences. 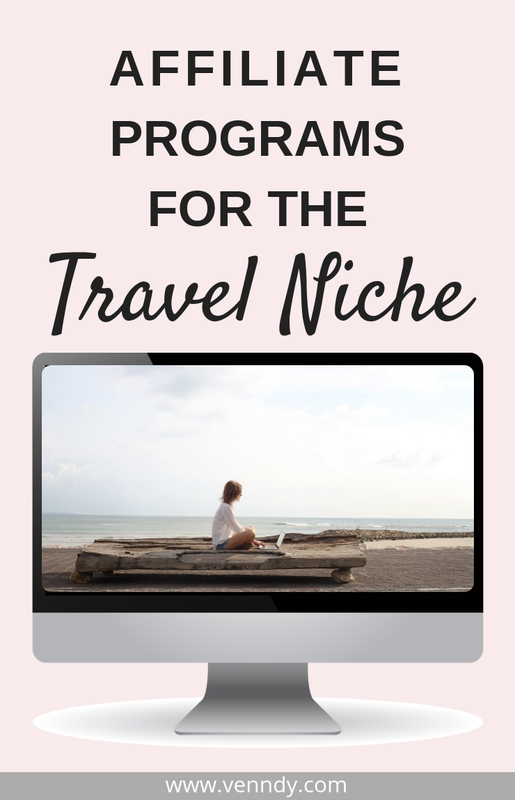 Some of the programs may not seem obvious as they are not purely related to travel – Etsy for example – but you can find there related products that could be very useful in your niche. 2. To facilitate the process of choosing the most appropriate networks to join as a travel blogger. We ourselves were inspired by bloggers who put together similar lists that helped us through the process of signing up by preparing us for what to expect. 3. To encourage you, even if you are a brand-new blogger, not to wait until you have grown to think about aspects of monetization. Using affiliate marketing is possible even with a small following. Building and engaging an audience takes time, and you’ll need patience to build up the trust and loyalty that will keep your audience coming back to your blog. Sponsored posts and other means of monetization can be added at a later stage, but the beauty of affiliate marketing is that, although you may not see success and commissions rolling in right away, with the right content your recommendations with affiliate links can live forever! The hard work you put in during these early stages could be one that will start paying off later. Even if you have a blog and a nice following, that doesn’t mean that all programs will approve you. Make sure you prepare and write a short description/bio about you, your website, and your promotional methods, and have it close to hand. Try to personalize it and use a few keywords relevant to the brand you’re applying to. This might help you get approved for programs in a few different categories. We suggest creating two versions, a short one of up to 255 characters and a longer one with around 500 characters. As a beginner, don’t expect to be approved by all programs. Don’t take it personally; simply try. You may not be approved today, but as you grow you can reapply. By building a stronger foundation of content and followers, you are more than likely to be approved. If a certain program is important to you, don’t settle for "no” as an answer. You can always reply to their rejection email with some information that may make them change their mind; for example, tell them how much you love their product and how you plan to recommend it to your readers. VENNDY’s tools can help you keep track of all your programs and products and add affiliate links as you grow. Check out this blog post to learn more about the advantages of working with VENNDY. 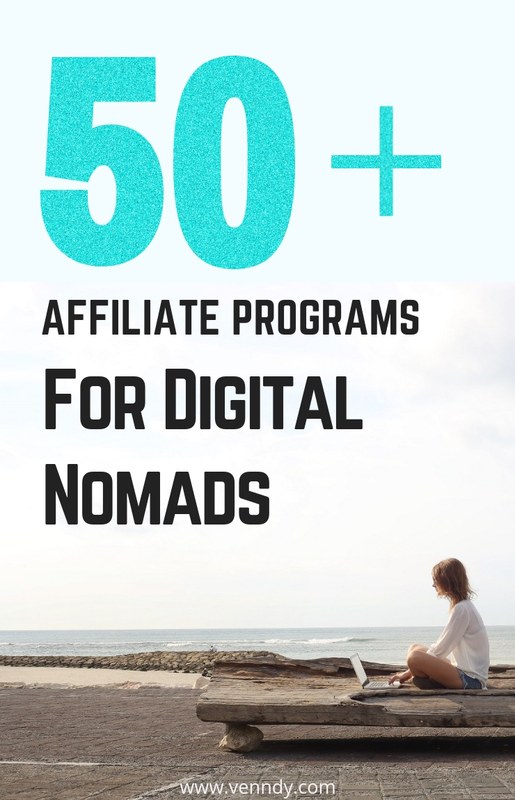 "Affiliate marketing is one of the best ways to make money from your travel because you only set it up once, and the income keeps coming in forever more. It’s passive income and is where you find your true freedom. If you have a highly engaged audience on social media, you can leverage this channel and use email lists to stay connected with your readers, sharing your recommendations on all platforms in a consistent way. As you can see below, many of the programs work with one of the big affiliate networks. You can either sign up to all 4 or choose to start with only 2 or 3 – wherever you find more relevant programs that you can work on promoting. A growing number of affiliate programs work independently and have their own in-house affiliate program, for example, Get Your Guide and Hotwire. What would your readers be looking for when planning a vacation? If they are going to New York, maybe add a show; if it’s Paris, then look for tours or attractions besides the regular sightseeing places. It’s important that the affiliate products you use are close and relevant to the type of content you write. Yet, you can be very creative in including other industries such as fashion, stationary, education, and, more obviously, photography, books to take with, apps to use, tools for exploring or booking adventures, and many more. As you can see in the list below, some brands have more than one option to join their program. Some work with more than one affiliate network and some have an in-house program in addition to the option to join through an affiliate network (i.e. Booking). Commission Junction – Air France, Kayak (for booking flights, hotels, etc.). Get Your Guide is a private plan and we must say something about this program. It is an in-house program, so you cannot join through any other network but only directly on their site. It is the easiest sign-up ever. No questions, only confirm your email and you’re in. They know full well that it is not a question of how good you are or how big your following is but rather how well you promote your content and how you reach and grow a loyal following. So you are in within seconds, and now its on you to prove you can make it work. They have 3 levels of partnerships according to your size. Here is a widget powered by VENNDY, that is doing basically the same, only with a few differences. Include as many items as you want in one carousel. Keep the appearance of your blog post consistent with the other post's carousels. Add your own review to the items to improve engagement with your content. Let your readers save your recommended items along with other items from other programs in their VENNDY account. Create a collection of your recommended items, such as this, on one page that can then be edited, shared on Pinterest or other platforms. Lastly, keep your affiliate links relevant for as long as you are still a member of the program and the 30 days cookie length will tick in every time someone clicks on the SHOP button. Promoting your content is one of the most important ways of being successful as an affiliate. What’s the point of having great content if no one reads it? We will mention here social media (Pinterest, Instagram, Facebook, YouTube), but with the huge growth of the travel industry, there are many more platforms dedicated to travel that can be central for building your brand and your audience. This is why we will soon have a separate post specially for monetization and promotional channels, so sign up to our newsletter or visit us again for more on that. Nobody knows it all, especially when traveling the world and trying new things. That’s the big advantage of reviews, of reading other people’s experiences. You are no longer trading just the time you spend researching and journaling your experiences for money, you are now trading the value you give to your readers for money. That’s why we love the approach of Tim from the Universal Traveller who combines pieces of advice from different travel bloggers on a variety of subjects (such as Work Remotely – Digital Nomad Jobs You Can Do While Traveling, Best Travel Camera or the Ultimate List of Best Things to do in Peru besides visiting Machu Picchu). A list of his own 20 best experiences could never be quite as valuable as the single best piece of advice given by 20 different travelers. The collaborative feature in VENNDY’s stories gives you the option to easily create lists of places, products, and services that you either curate yourself or promote for others. You may not receive the full commission for all the products you share, but you will be creating a much more comprehensive list, creating greater value, and letting your readers choose the best options for themselves. In order to help your readers save items they love for later use, you can suggest they create a VENNDY account and add the items to their wish list or loved items, thus building their own collections for later follow-up. How can VENNDY help with your monetization efforts? Your readers love it, you got lots of traffic, some share their love and appreciation by sharing on Facebook, others pin it to Pinterest for later use. And then what? More quickly than you would want, it all gets buried deep down in the endless feed of social media. When the time comes and readers want to find that suitcase or the beautiful landmark you shared, it’s lost. It’s easy to understand really, considering that your blog and content is only a ripple in the endless stream of online content. But what about pinning, you might ask. That is, indeed, an option, but, as a reader, go find something in the endless pins you have collected for inspiration throughout the years… and as a blogger, once you’ve incorporated an affiliate link into a pin that you created, you basically lose control over where it goes and it is almost impossible to update or refresh that link. What about saving an Instagram post, you ask next. That too is an option. But Instagram posts are not clickable. They are, for the most part, experience oriented, and readers cannot break them up into desired items. So how can you change the situation? How can you help readers do something practical that will help save items for a later date? The answer: help them to "own” the item. Your mark will still be there, especially if you add a personal note, a review or an image, but VENNDY’s tools will help readers to break down your blog post, Instagram post, and other social media shares into shoppable, clickable items that can be loved, categorized, dated, saved, and added to their own profile. They can take these items and build their own collections of subsequent destinations with all their plans for places to visit or accessories to take. And the best thing about it? Your affiliate link will always be part of the item. What are the advantages of VENNDY’s tools here? 1. They extend your affiliate link way longer than any cookie we have come across. turn these items into their own collections around themes for future vacations, places to go, or shopping lists for their next trip. 3. They help you easily delete a product that is no longer available from your own VENNDY shop; it will subsequently be automatically deleted from your readers’ Loves or Wish List. As you are the one uploading the item, you control where and how it will appear. For more on why and how you can create your VENNDY gallery of shoppable items, check this blog post. 4. They help you to build long-term trust with your followers, who keep seeing your suggestions, saving them to their preferences, and trying them out. Their confidence in your shared preferences and in your recommendations subsequently grows. 5. 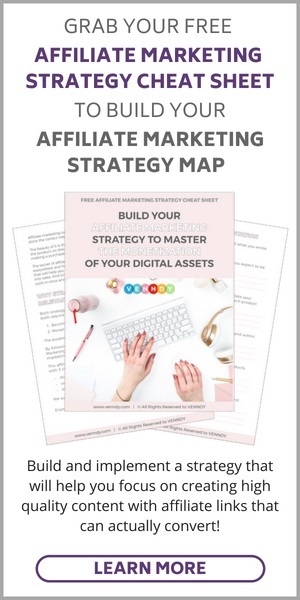 You can collaborate with other bloggers on creating lists of places, products, and services that you either curate yourself or promote for others, helping each other grow both traffic and income. You can sign up to VENNDY here and learn more about VENNDY’s tools here. This blog post will be updated regularly to add additional ideas, products, and platforms that you can try out and then promote, so make sure to occasionally check for updates.